just thought id see what else ppl do to make there own tools? mite save some ppl lots of $$ from buying things that are easy made. just a couple from this weeks work. first is a tool to machine the diff inner. just get a old race weld to some plate, weld a rod off it, lathe it back true, angry grind some slots in the race. chisel the slots to bur up the teeth. worked awesome in my cordless drill. second is a axle race puller for in the diff. rear peice (small) shaped to lock in behind the race, front could do with some spacers on it and a longer bolt as it will only pull it out flush with the surface. Is no1 out there making anything at all? Brake bleeder set up? Bearing, steering wheel, harmonic balancer pullers? Good job man, once we've bought our new block and built my huge shed, a mill and lathe will be on the cards so I can build a lot of custom tools, from crank case pullers to custom bolts etc. There are some of us making tools,dont have pics but a couple of easy ones. the nylong bush ID and this gave me step on the bar to use a heavy duty washer with slightly less diameter than the drift itself,the washer takes force of the blows when drifting the bearing in and spreads the force out over the drift so that the drift survives and stays in shape. also had a nylon bush in the centre that was a neat fit over the bar. It worked for me. take the blows while fitting. Made a rear extension housing bush drift,similar to cam bearing drift just a different size,had to make the bush as well because they are NLA. This one had me stumped for a couple of days,needed to remove some ridiculously heavy valve springs but didn't want to lift the head. Made up an adaptor from and old spark plug and air line fitting by removing the guts of the plug and brazing a piece on to accept the air line fitting. 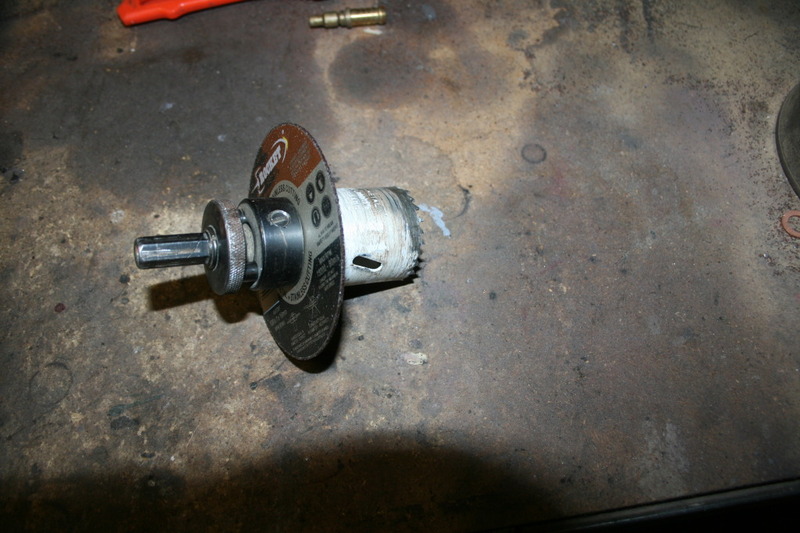 This is used to screw in the plug hole and hooked up to compressed air to keep the valves up while removing collets etc. Then made a tool that I could used with my left hand to compress the springs,it only has a handle about 8 inches long and it is my favourite tool ever made. I cant work out what these measure/ how these work? This is a great idea will keep this one for sure. you use them to measure between points.. One piece slides along the other and the bolt is to lock in place.. Using the pins or the sideways bolt to measure/mark things. Mike measuring device is called a trammel bar. 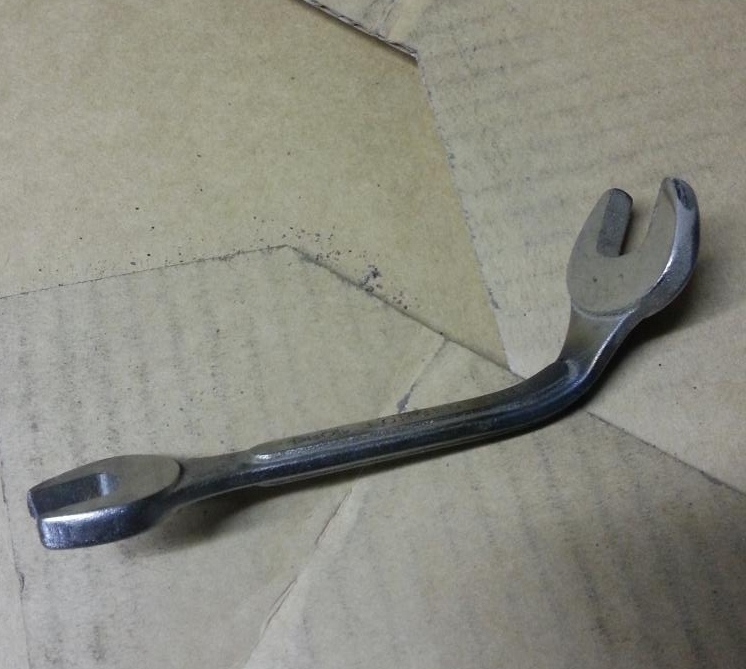 I cut one end off of an open ended spanner once so I had room to get it on a nut. 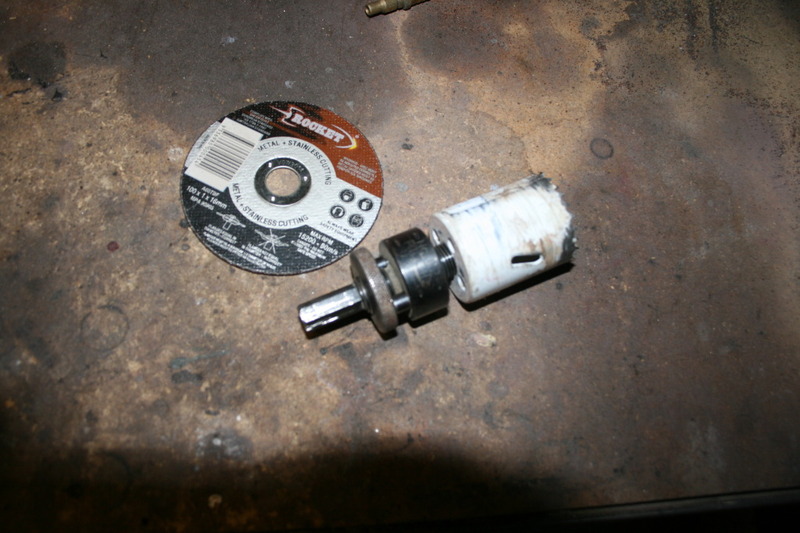 I also cut the end off of a small screwdriver to make it easier to adjust the fuel mixture on my Holley years ago. You are a of nature with those amazing fabricating skills mate. lol. Another one I just remembered, I cut the bend out of an allen key so it was straight and then put it in my cordless drill. Makes putting flat packs together so much quicker!! Lol I have done this one myself for flatpacks. Though I used a allen key socket and a uni joint and extension bar in a drill. Only as I had 20 outdoor settings to build. Edited by Quagmire, 13 September 2013 - 03:29 PM. We've made about 100 different clutch lining up tools, modified a david brown sleave pusher into a Isuzu front crank seal pusher, turned a forklift into a lawn mower hoist, heaps of dollys, fork lift jib, one of the best ones i think was about 10 timing belts for a tow rope. check out my axle puller/ heavy duty slide hammer bit embarresed about this one but it works..
Edited by miki76lx, 22 April 2014 - 11:28 PM. Scrap bin engine lifter for a red 6. Don't you mean "Grey" 6. Great little tool Wot but you'd have to have plenty of faith in your welding skills. What have you got in the plug holes? Here's my dodgy tool . A bolt was rusted stuck in the bottom wishbone on my lh a couple a weeks back , so i weld two bolts together and used it to push the bolt out . The socket was put on it to keep it centered ,but it was wrong size so that part of it didn't really work . This is one of my many tricks i have used many times you get a hole saw and arbor and put a 100mm grinding disc on the arbor and use this set up on a drill to cut pipes internally. Probably more useful for plumbers ,Thought i would share it any way. if any one owns a 253 or a 308 with a trimatic transmission in a torana with a vc commodore electronic ignition you have three problems against you trying to tighten the distributor lock down bolt. 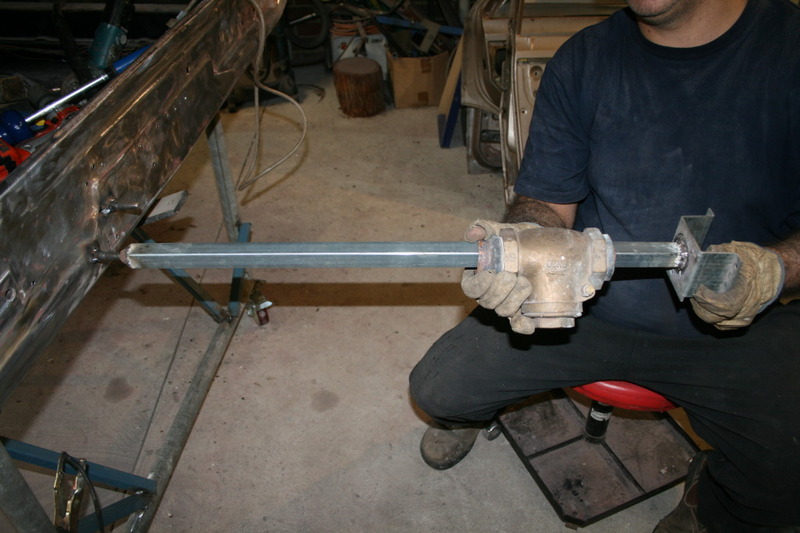 The transmission dip stick tube. 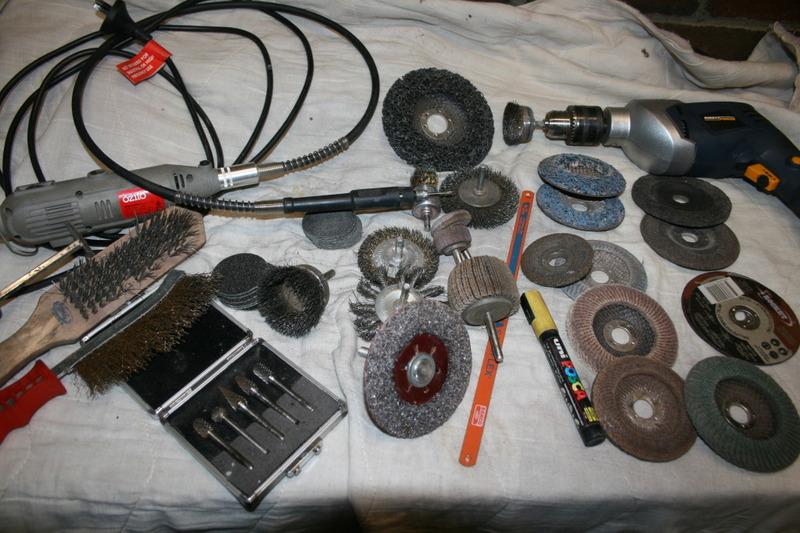 This is my paint surface rust and rust removal kit.It comes in extremely handy.